Activision might not have rick roll'd anyone before, but they do their fair share of stunts. 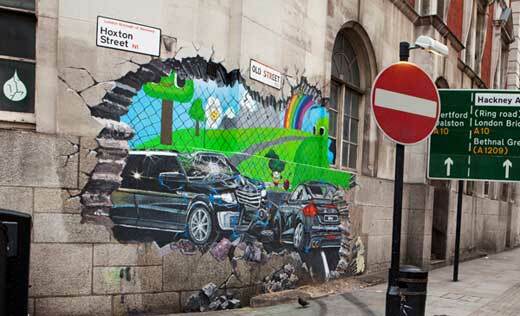 Not typically known for their good PR, the company recently painted a 'crash scene' on the magistrate's office wall in the UK. 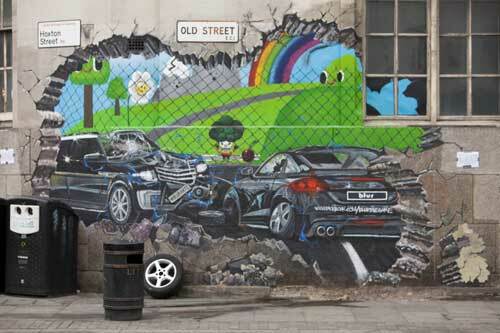 Taking around 30 hours to complete, the artwork can be found in the core of East London. Notice how the wheel has gone missing in the second picture.